Most obvious is cost. To build a garage, it may require construction permits and be subject to zoning laws, in addition to code inspections. Of course, there are the materials it takes to construct the garage including the cement foundation, lumber, and construction materials. If you chose to install an automatic door opener or insulate the walls, the total cost continues to rise. Unless you are well versed in residential construction, you will likely need to hire someone to erect it. 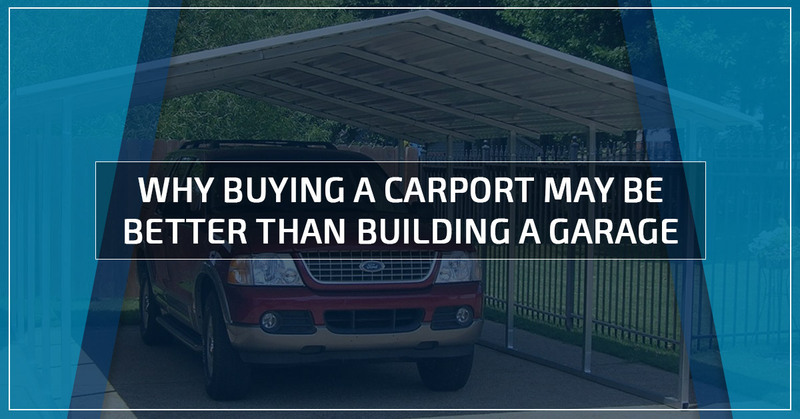 Carports are relatively inexpensive. The actual cost of a carport will depend on who installs it, what materials are used, and whether or not there are side enclosures. Over time, repairs and upgrades are also much less expensive for carports in comparison to garages. If you have always imagined a carport as a metal overhang, you are missing out! The classic carport is the awning or metal tent-like structure. 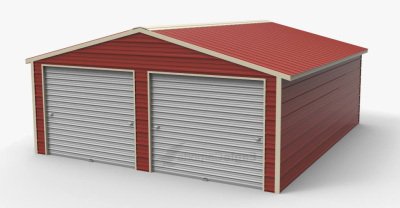 However, carports are available in all shapes, sizes, colors, and designs. Some are even able to have a sliding garage door to create a completely closed space. 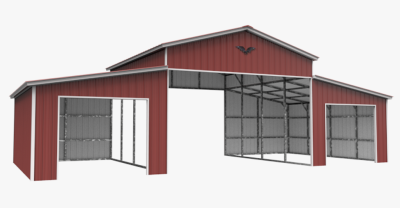 The ability to select how many sides a carport has, as well as the length of the walls (half walls or ground length), means that your carport can be created specifically for you. A great benefit of a carport is it can be taken with you when you move. Portability means that you will not lose the investment just because you change locations. 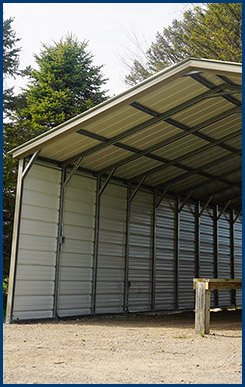 Some carports function as a detached garage, but are not permanent fixtures dependent on the building they complement. Although your carport will not be as easy to move as your household furniture, just because it is a large, heavy, durable fixture, they have the ability to be broken down and rebuilt. Although garages can be used in different ways, carports continue to be more versatile. 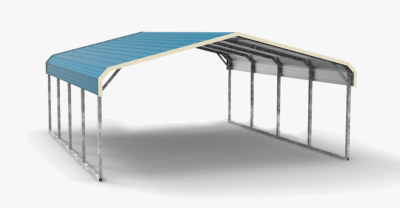 Carports can double as an awning or picnic cover, providing protection from raindrops and direct sunlight, while still allowing for the enjoyment of fresh air. Carports are also great at protecting vehicles other than cars. Awkward long RVs can benefit from the extra long RV Carport or parking awkward vehicles partially under a standard size carport does not prevent a structure from closing, the way it would if parked in an enclosed garage. There are a variety of options to choose from and the right choice for one person and their vehicle is completely different from another’s. A good suggestion is to shop around. Drive around your neighborhood to get an idea of what you do and don’t like and what the trends are in your area. Next, find out the zoning and permit requirements for your house. When you have an idea of what you are looking for, it’s time to call the professionals. For all of California’s carport needs, Wholesale Direct Carports is the expert and offers incredible pricing. Call to make your vision an affordable reality.